Give us a little detail as to how Laughing Tree Organics came about. What initially drove you to start LTO as a brand? Well, it seems that when our babies are young, we only want to provide the healthiest of options for their little bodies, but as they grow we seem to be ok with just giving them whatever is accessible and in our shower at the time. But why should this change as our little ones grow? I stumbled upon an article speaking about a class of hormone disruptors found in many shampoo’s and body care products which can be linked to birth defects, sperm damage, infertility, some cancers, early onset of puberty and the feminization of baby boys. I was simply horrified. Having young children myself, I ran out that day and searched the shelves for a shampoo without all of those hormone altering nasty chemicals; and of course I could not find one. Some made mention to “All natural” on the label but after looking at the long list of ingredients, there may have been 1 or 2 natural ingredients in it, but there were also many of those other chemically derived ingredients. 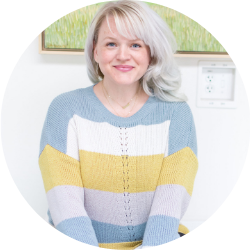 I have always loved to create natural products and studied many DIY recipes, so I thought to myself, why then can’t I be part of the change, and create an all-natural shampoo? After much research, and over a period of time, I found a supplier who offered the certified organic ingredients that I was looking for to include in my products, and I came up with these formulations. All of my products are formulated using only 100% natural ingredients and wherever possible, strive for organic above natural. I avoid potentially harmful ingredients found in many health and beauty products today, they never contain synthetic chemicals, artificial fragrances, chemical preservatives or sulfates. I am proud that these products are gluten, vegan and cruelty-free. I started with an all-natural shampoo line, and from there evolved my facial line. I love the fact that all of my products are biodegradable, and are good for our planet. 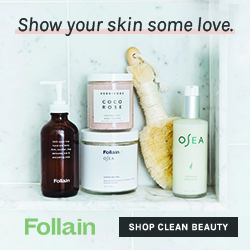 Our message “Good For You, Good for Your World” reinforces the importance of caring for our bodies, while being mindful of the footprint we leave on our planet These formulations are so pure you can pour them into the oceans knowing they will break down within hours and will not harm any animal or plant life. This is such a great question! I had never really given this much thought, but I know from a very young age I fell in love with the beauty products my mother used to use, such as Crabtree and Evelyn, and other household products of her time that have nostalgic scents like Dove body bar and Oil of Olay. Although I don’t use these products today, I think my love of creams derived from those early years as I watched my mother perform her nightly rituals with lotions and potions that seemed so mysterious and sophisticated to me at the time. Those clean scents of rose and lavender linger in my memory. I have since graduated to all natural scents and use only essential oils in my products, that are pure distillations of flowers, herbs, roots, or resins that have not been cut with any kind of carrier oil. 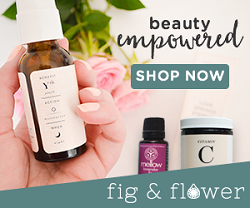 Plants and essential oils derived from them contain alllochemicals – natural chemicals that have effects on the human body, mostly good depending on the plant. But scents are tied to memory, so having beautiful, clean, natural scents in my products are important to me. Oh my, you have products both for Mom and Baby! As a new mother, I am always concerned about what I am putting on my baby but not always as thoughtful about what I am using on myself. What makes this line so great for Mom and Baby alike? It’s sort of like the oxygen mask, you have to put it on first in order to be able to protect your baby. Us busy moms are always thinking about our children’s health first and foremost. It’s just a natural thing. I often have to remind myself to take better care of myself so that I can be around a long time for my children. Caring for oneself is a gift we give to them. Our products are simple in the sense that there are no stringent regimens you have to adhere to. 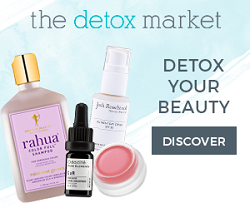 Busy moms will benefit from any of the lovely organic shampoos and conditioners, botanical facial cleansers, scrubs, toners and moisturizers we have to offer. 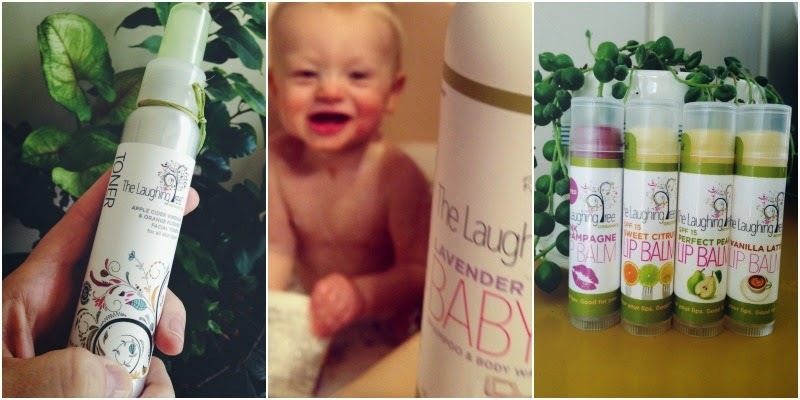 Our all natural lavender eco-wash for baby is so soothing and gentle on their skin. Nothing says you and your baby cant take a relaxing bath together using this one beautiful product for hair and body and both be ready for a great night’s slumber! We hope to expand the baby line if we find there is a genuine need out there! What do you love to do in New England, when you aren't busy running Laughing Tree Organics? Having a family that includes 5 children does not lend to much down time. But when I am not spending time with my family, or working on LTO, I am usually researching the benefits of botanicals, and developing in my mind our next product. I do love to read and if nobody notices I’m gone, I could easily spend hours in a local book store just browsing and enjoying the quiet. You seem to have been super successful so far! Where do you see Laughing Tree Organics headed in the future? We are still in our infancy stage having only been in business 2 years, so I hope to grow the line with more products that people are seeking out. I recently developed an amazing orange, spearmint cleanser with organic witch hazel, and a uniquely scented Ylang Ylang, Vanilla, Orange, Patchouli moisturizing body lotion that is to die for! I hope that Whole Foods will pick up these new items so everyone can enjoy them in time for summer! I would also love to create a few all natural body care products geared toward men as I would love to play with more masculine scents! Who knows where this journey will take me, but I’m committed to making these products as pure and effective as possible, the way nature intended. My hopes and dreams are to get these to a place where more people have access to them. I don’t want to be a prestigious brand, I just want to be an approachable brand that everyone has access to, can trust and derive good health from by using them. I try to keep the costs reasonable for the amount of natural and organic ingredients that go into them, because my mission is for everyone to enjoy them! 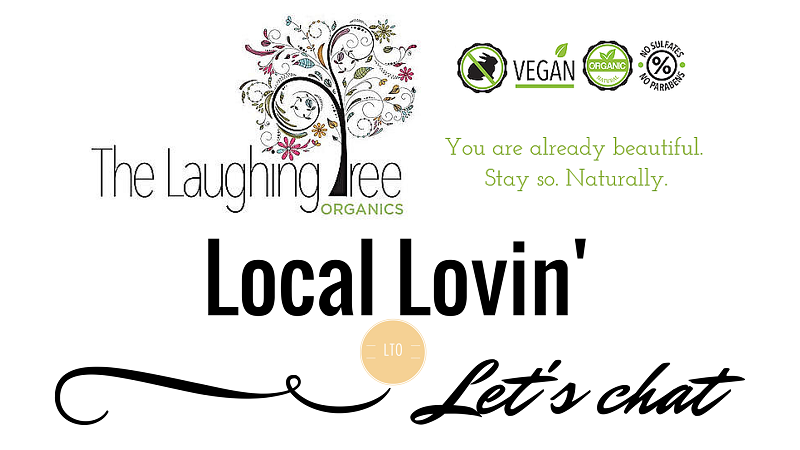 Catch The Laughing Tree Organics on Facebook, Twitter and Instagram! I always support organic brands strongly. Thanks for introducing this new one. 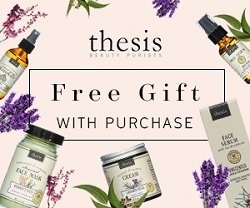 What a wonderful company with great products! !